The Van Zupthen names signifies that the family was from Zutphen, a town in the Netherlands. The town is situated on the right bank of the IJsel (IJssel) River in the Province of Gelderland. Gelderland borders Germany on the East. Arnhem is the capital city. The Sutphin families were in Kings County, New York ; Freehold, Monmouth County, New Jersey and Loudoun County Virginia before my ancestor Hendrick came to Southwestern Virginia where he married Rachel Owen in 1788. Lysbett's family, the Van Rheenens were from Rhenen, Utrecht, Netherlands. From :"Kings County, New York, 1687 The Roll off those who have taken the Oath off Allegiance in the Kings County in the Province of New Yorke the 26: 27: 28: 28: and 30th day off September in the third yeare of His Maytsh Raigne Annoque Domine 1687. " In New Uijtrecht, Kings Co NY - Dirck Janse Van Sutphen 36 Jeare There was also a Jan barense Van Zutphen 30 Jearein the same records but from the township of Gravesend, Kings Co NY (Long Island). About Zutphen: Located in East Central Netherlands. Zutphen was chartered in 1191 and was an important Spanish stronghold during the Dutch struggle for independence in the 16th century. 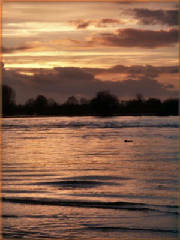 About the IJssel River: A 72 mile long river branching from the Lower Rhine. Line of Descendancy from Dirck Janse Van Zutphen to my grandparents, Ewell Reynolds and Maud Coleman, as I understand it to be. Note regarding Lysbett Jans : After her father died and her mother remarried, she went by the surname of her stepfather. Her father was Jan Jacobszen Van Rheenen; her stepfather was Aucke Jans Van Nuys. Please view my rootsweb page for details. John S. SUTPHIN was born 29 Dec 1790 in Bedford Co VA, and died 12 Nov 1876 in Carroll Co VA. He married Celia HYLTON 1812, daughter of Henry HYLTON and Elizabeth "Betsy" HYLTON. She was born 1794 in Montgomery Co VA.
Mary SUTPHIN was born 1794, and died 3 Jan 1859 in Floyd Co VA/ Indian Valley. She married Nehemiah PRATER 1812, son of Newhemiah PRATER and Nancy ROBINSON. He was born ABT 1795 in Carroll Co VA.
Owen SUTPHIN was born 1796 in Bedford Co VA, and died 29 Feb 1872. He married Sarah THOMPSON. William Tyler SUTPHIN was born 13 Jun 1799 in Bedford Co VA, and died 14 Aug 1874 in Carroll Co VA. He married Nancy MABRY 21 Oct 1819 in Patrick Co VA, daughter of Charles Grafton MABRY Capt. and Sarah Elizabeth "Sally" HELTON. She was born 1814. Catherine SUTPHIN was born 1800, and died 1880+. She married Archelous MCPEAK. Christopher SUTPHIN was born 1802, and died AFT 1880. He married Susannah HARMAN 1819, daughter of Jacob HARMAN. She was born ABT 1800 in VA.
Ellender SUTPHIN was born 1806, and died AFT 1873. She married Thomas BLACKARD 10 Aug 1822 in Grayson Co VA, son of Willoughby BLACKARD and Susanna OWENS. He was born ABT 1798 in NC, and died 1880 in Patrick CO VA.
Nancy SUTPHIN was born 1813, and died 1891. She married William MONTGOMERY 15 May 1831 in Grayson Co VA.
Daniel SUTPHIN was born 1811, and died 1897. He married Dilcy Jane BLACKARD, daughter of Willoughby BLACKARD and Susanna OWENS. She was born 1799 in Rockingham Co NC. Thomas SUTPHIN was born 1809, and died BEF 1880. He married Rachel MONTGOMERY 1831. Hendrick SUTPHIN. He married Mary "Polly" KEITH 1816 in Montgomery Co VA, daughter of James KEITH Jr. and Margaret Ann "Peggy" HUFF. She was born 1794 in Montgomery Co VA, and died AFT 1883. Back to my homepage, "Virginia Roots" ! Marriage and death records of Monmouth County, New Jersey, Loudon County, Virginia and Fauquier County, Virginia. Cemetery and Marriage Record of Bedford County, Virginia, Grayson County, Virginia and Carroll County, Virginia.